Looking for the right person and the right job can often be a great challenge. Businesses are always in search of workers who are very qualified with skills and would like to work in a market that is very competitive in nature. Companies who are successful want to hire those who are able to become successful in the future and be able to consider personalities when it comes to finding the best employees. Star employees are usually those who have a bright future. Not only do they excel in what they do but are also skilled, capable and trusted when it comes to work of any kind. 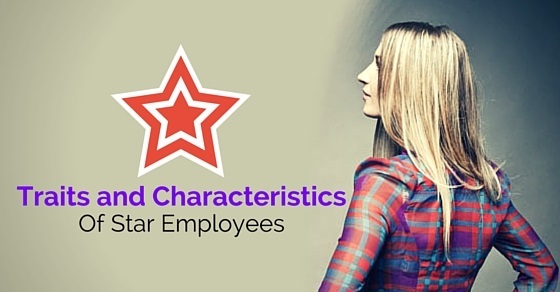 No matter what they earn or look like, the best employees possess the following traits. Most good employees have the ability to come up with thoughts that are insightful. This helps them climb the stairs of success even faster. The thing with these star employees is that they possess the right attitude and are willing to accept any kind of criticism thrown at them. They are also willing to learn from them. The employees are all self directed who are always on the lookout for new kinds of opportunities and have fresh ways of representing an organization. They always take ownership and try to solve their own problems and get the right kind of results. Integrity always means keeping up with your promises, working hard all the time and showing some kind of perseverance and diligence. There are star employees who always work to their fullest potential and that means they are able to perform well. The employees are good and always display ethical values that are strong. They possess great qualities such as trust, respect and kindness for the other coworkers and that makes these models the best employees. They are also able to act by these rules and help people around them do the very same. The thing about star employees is that they are always proud of what they have done so far. They also believe in delivering great results because they all want to work towards the success of the company and feel the most valued. There are several star employees who like to take action instead of taking changes. There are new opportunities which lead them to success and also shape them into a better person so that they are able to produce much better ideas. These employees are always action oriented and are willing to make money for the company they are working for. Good employees always know how to communicate the right way. Their method of communication is always clear and influential. The communicating skills possessed by these people enable them to have a strong connection with the new workers and in that way they are able to handle all kinds of information. When an employee has good communication skills, they are able to help you understand things better and that ends up becoming the key to becoming successful. Employees who are good are always flexible. They tend to perform really well and can handle difficult assignments like professionals. Whether you put them in a team or ask them to work individually, employees just know how to work well. They are also very versatile in nature and know how to manage the pace. They are the rock star employees, they will easily accept all tasks that are different and diverse. They are forever willing to make different changes and know how to adapt to the needs of the world. The ability they have to compete with others also depends upon how much they want to adjust in any kind of situation. Good employees know how to stay calm during times that are tough and challenging. They know to solve problems instead of creating problems. They also never allow themselves to become a part of any argument and surely never lose their mind. They always know how to prepare themselves and are always emotionally strong. If you want a star employee, you have to notice their tone of speaking and whether they are able to make peace and not create drama. Star employees are very passionate by nature. They are absolutely unavoidable and know how to make a long lasting impression. These guys always know to stand out and make a difference. Unlike several other traits, passion could be very easy to spot among several employees- you may just be able to sense someone’s passion the moment you see them. Though you might not be able to put pressure on yourself to become passionate about the job, you will surely be able to have work that will ensure you success. If you are a person who is very passionate at work, you can even influence the other workers to care as much as they want to about reaching their most difficult goals. Star employees are always confident ones. They work towards producing great results and always try to encourage their employees to become a part of various challenges that most others tend to keep away from. They are very confident people and always try to come up with a product that is superior in nature or service and this not just boosts their confidence but also helps them create that star quality impression. One of the best ways in which you can predict the success of an employee is by seeing whether they have been equally successful while working at other firms. Have these guys stayed in these companies over a very long period of time? Have they met the goals of their company yet? What are the achievements they have been able to achieve so far? If you are able to look at all of them in a very close manner, you will be able to understand a lot about them from just a piece of paper or resume. A good employee may be very talented. He might be well versed, educated, smart and intelligent, but if he does not possess any kind of integrity, then nothing great can come out of it. If your employee is honest, it surely could become a great thing. Because in every company people want those who can work well, have great qualities and can most importantly be honest people. If they don’t have this quality, the clients will be turned off and you surely will not be able to survive. Being detail oriented is also a very rare quality you will find in most employees. Most people give up work just for the sake of it and some don’t even bother checking because they are tired of working for long hours. But what stands out among them is one who cares about every single detail. They always take pride in what they do and know how to get the job done on time. They are confident of what they have done and never submit anything until it is entirely complete. The best employees are those who value their words and execute well. They are humble people and don’t find the need to pump themselves among a group of people. They chase after what they want and produce something really good. Star employees are also hard working people. They believe that nothing great can come out of life unless effort has been put into it. They are also employees who work from 9 am to 5 pm and never miss out on a day unless they are really sick or something urgent came up. In fact, they are always worried about producing great results. These people are all about execution. A star employee will always have marketable qualities and by that we mean they will be able to present themselves to the clients. Business is not some kind of fashion contest where the looks have to dictate all the success but clients who are always successful know how to put things together. They will not only represent your organization very well but also stay very professional from the start. Star employees are also action oriented people. They don’t just talk about getting work done but actually get them done. Plus these guys are all about time management. The moment they get the task, they immediately start working on it unlike some people who wait until the last moment. These guys are well aware that its ultimately about the results they produce and most of the time, star employees do a great job. They also help the company make a whole lot of money. Star employees are also very ambitious people. They can help the company get better and in that way, they also improve their current position and climb stairs of success. They always come up with creative ideas since they are focused and willing to see the company make better and bigger changes. So if you want a good worker in your company, go for those who are ambitious and are willing to make a huge change! People who have an ambition in mind are always ready to make a difference. Another common quality you will always find among star employees is that they are very intelligent people and know how to work accordingly. They are not just organized people but always use their brains before making a decision. These people are very skilled, capable and trust worthy as well. To be honest, it is hard to find people who are this unique and intelligent. You will never fail to see this quality among star employees. They are always upbeat, confident and posses leadership qualities. They know how to take charge of things around them and work accordingly. You will never find a good employee taking a back seat. He is right at the front waiting to listen to what is being said. They are present during all meetings and often come with innovative ideas. They are also very responsible by nature. Have you ever seen a good employee who is boring? You probably never will! A good employee is forever enthusiastic and refreshing. He never shies away from anything and is able to create a working environment that is unique. Anyone would want to work with them since their personalities are so bright and uplifting. These people also know how to enjoy themselves and give others a good laugh as well. You will never see good employees feeling shy. They are always willing to take the initiative. Even if failure comes their way, these guys know how to brush things off and perform without any sort of direction or advice given to them. You might always be able to train your employee on any sort of service or product but you will never be able to train people or someone to develop characteristics, traits or even intelligence. These things are born in people and can only happen if the person possesses these qualities. If you have read this post, by now you will have a great idea on what a star employee really is like. If you are looking to hire a team, look out for these people. Plus if you have any kind of feedback regarding the post, kindly let us know by leaving a comment below. We would love to help you! Next articleLoyal Employees: What Makes an Employee Loyal to a Company?